With the busy holiday season approaching, some of us have already began the preparation. 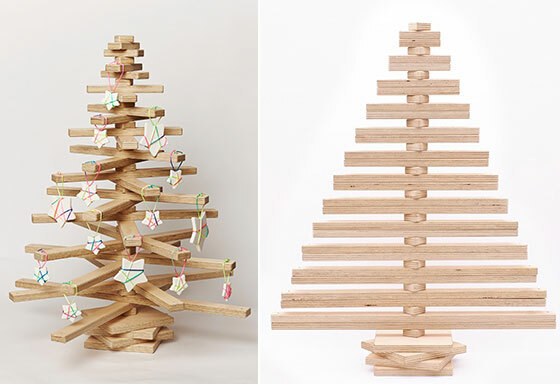 For someone who doesn’t like the idea of chopping down trees and have no time to DIY their own Christmas tree but still want that traditional decoration, here is a sculptural take on called “one, two , tree” from Lucy and Antony Aris. 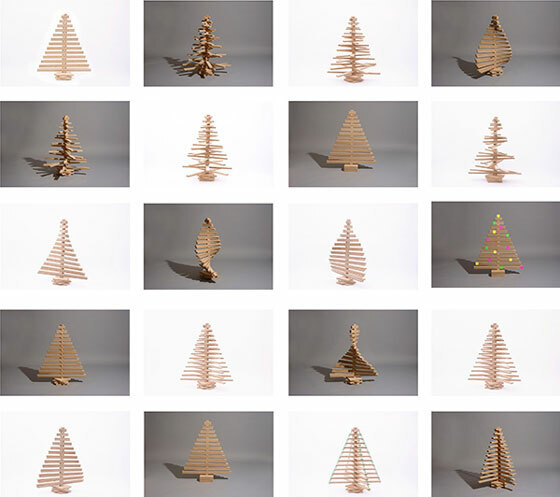 Produced from sustainable untreated Australian hoop pine plywood, One Two Tree is an eco friendly Christmas tree that can be styled to suit any space. Consisting of 26 ‘branches’ which can rotate around the ‘trunk’ and stop anywhere you want, you can easily style your tree’s looking daily, weekly and most certainly yearly. Another good news is it’s also shipped flat-packed, which means if you don’t want it, you can pack them back ans store them easily. Hmm not bad at all and very interesting design. 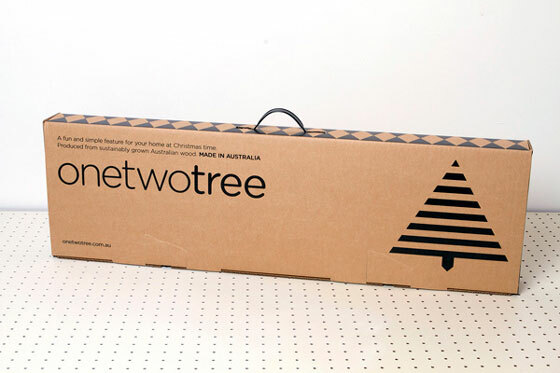 I still prefer how we used to make our Christmas trees though. When I was younger, we would take a branch off of another tree (we are in the Caribbean so trees still have leaves in December) and we used to put it in a pot and decorate it.